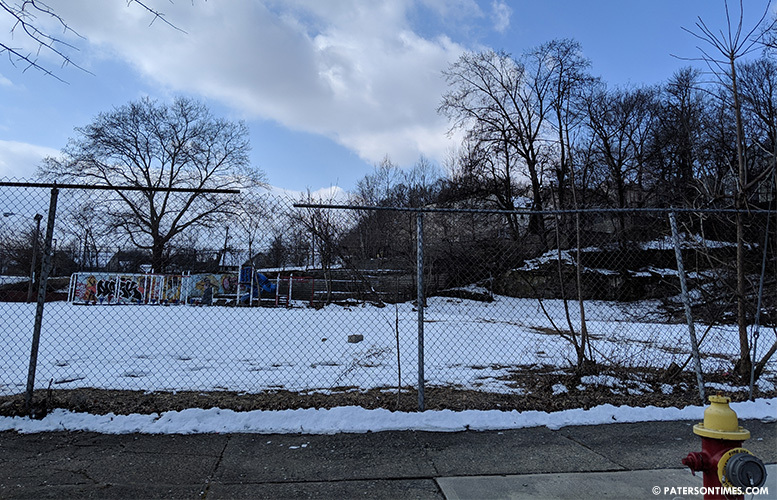 After demolishing the rotting former Head Start building on Clinton Street, the city is planning to create a park on the site. Municipal officials granted approval to Paterson Habitat for Humanity to secure grant funding to create a park at 63-69 Clinton Street. The nonprofit proposed to develop a park at the site, according to city records. Habitat for Humanity will seek funds from the New Jersey Economic Development Authority (EDA)’s Hazardous Discharge Site Remediation Fund (HDSRF) to conduct an environmental assessment of the property. It will also seek funds from the Open Space Trust Fund to develop the park. In 2017, the city spent $109,000 to demolish the old Head Start building. Municipal official also granted the nonprofit authorization to develop the Martin Luther King, Jr. Memorial Park on the corner of Auburn and Governor Street. It is seeking a $99,000 grant from the Passaic County government. The City Council approved both authorizations via two memorandum of understandings last month. In Nov. 2018, officials revived the MLK corner project by planting trees. A plan was also unveiled for the park at the time. No plans have been made public for the proposed Clinton Street park in the Riverview section which suffers from a dearth of green space. One other park — Cobb Park on East Main Street — exists in the Riverview section. The other day I heard Paterson address the issues about panhandler, here is a location that maybe they should consider bringing a social service center. There so many parks in such close proximity.